Intel is one of the most popular brand in the field of processor and gaming hardware. They manufacture a variety of products that are found in almost every brand of computer, laptop or mobile device available. When choosing your next computer, you’ll need to be able to identify which processor would meet your lifestyle. You should get the one that can handle the demands of your work or deliver good performance in your gaming routine. 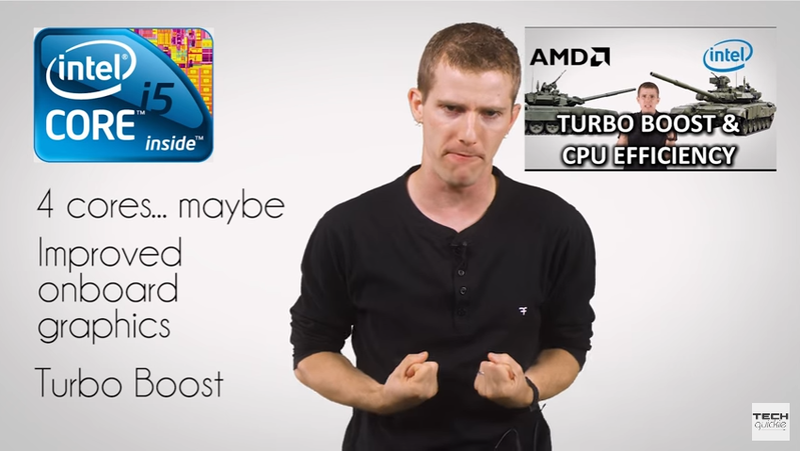 The last thing you would want to do is choosing the wrong processor and suffering from sluggish performance and ending up purchasing a new computer. What Do Processor Labels Mean? The i3, i5 and i7 or even the simple “Intel Pentium Inside” label actually mean something and Intel intentionally named processors this way to do away with the confusion that come in labeling them according to performance ratings. So now it’s clear that the numbers indicate a progression in terms of performance. The higher the number the better! So those that have “Intel Pentium Inside” labels are the basic processors good for day to day tasks. It is good for document processing and other routines done by average users. But how about those “i” series processors? Here’s a simple rundown on what each one can do (at least the basics). Now, let’s see what the i3, i5 and i7 processors are actually good for. If Pentium processors are good for the basic tasks, what are those next processors capable? Here’s a list of what each i series processor can actually handle. Photo Editing with Photoshop and Other Applications: In our experience, core i3 can actually do this provided there are no other applications that demand heavy processor and system resource usage active at the same time. Handling Multiple Active Applications and Programs: Because i3 processors support bigger RAMs, it can handle more applications and programs at the same time compared to Pentium processors. Minor Games: Intel i3 processors can also handle the basic games smoothly. If you want computer that performs better than your old Pentium-based laptop the one that has Core i3 would be your best choice. It also is budget-friendly than the next two that we’re going to discuss. Next kind of processor is considered to be the “better” one. If i3 is “good” then i5 is “better”. Here are few of the things that it can handle. Photo and Video Editing With Other Applications Active: Core i5 processors can handle Photoshop and other resource-demanding programs and applications smoothly compared to i3 processors. This means that you can run these apps at the same time without experiencing problems. Handling Different Programs and Apps, Virtual Desktops and Tasks is Easy: Given the better performance and higher RAM space support, Core i5 processors can handle these things without any problem. It is best for those who do plenty of tasks in their computer. AutoCAD would also run smoothly in Core i5 processors. Better in Gaming: In terms of gaming, Core i5 processors can handle more advanced games smoothly. You can enjoy most of the latest games in it provided you have compatible graphics hardware, enough RAM space and the needed input devices for better experience. Intel Core i5 processors are generally better in terms of performance and they would do good for those who have work or lifestyle that demands more advanced computer performance. Prices would be higher than Core i3 processors though so you need to really invest on it. Lastly, if you really want to get the best performance and gaming experience then you will need the Intel Core i7 processor on your next machine. Handling Photo and Video Editing with Advanced Apps and Programs Active: Intel Core i7 can handle all these tasks at the same time. Most computers with this processor have bigger RAMs so you surely can do multitasking in it without experiencing hangs, freezes and other problems. Advanced Gaming: Most gaming laptops and PCs have Intel Core i7 as the centerpiece of their arsenal. This means that all the other hardware work with the power given off by the processor and therefore, all advanced games can run in it. Whatever it is that you can imagine, you can do with the Core i7 processor so you should definitely get it if you want to get the best performance and user experience. Being the best processor available from Intel, it also comes with the best price tag. However, the performance you’ll get surely outweighs the money you’ll be shelling-off! 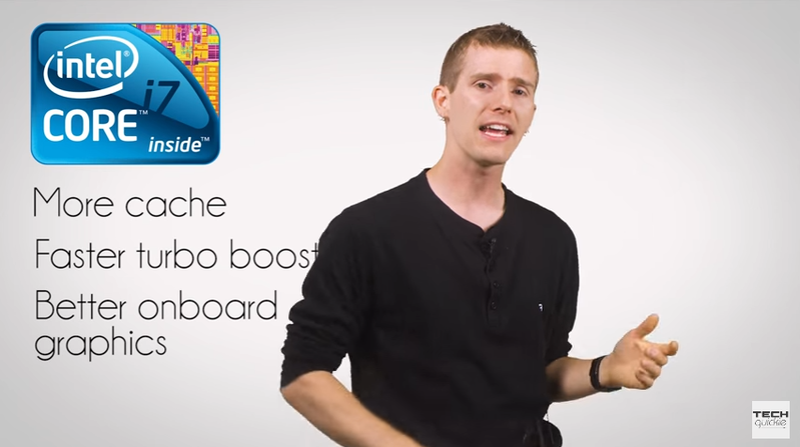 In the video below, our friend Linus will explain to us what those Intel processor names are all about. 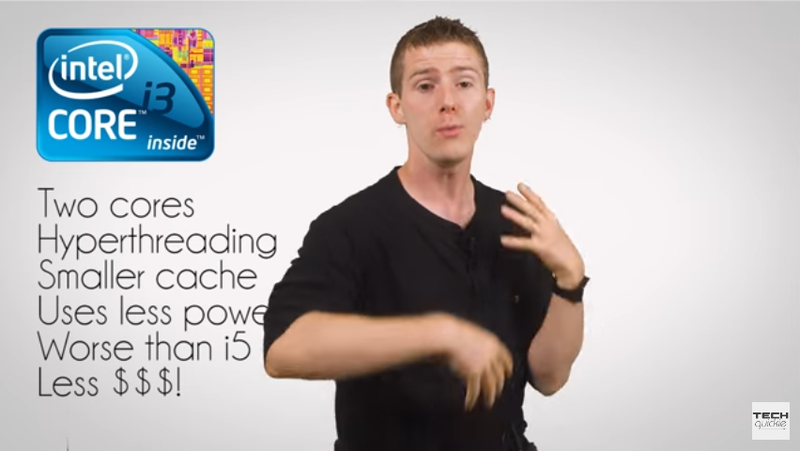 If you’ve been trying to figure out which type of processor you should get on your next computer. You definitely need to hit the “Play” button to find out the answer. Now you know what those blue stickers found on laptops and computers actually mean. Choose the machine that has the best processor fit for the tasks you are planning to use it for. What kind of processor do you have in your computer? Are there problems you’ve experienced with it? Share your experience with your fellow readers by describing them in the comments below. If you want more of our Windows and other tech contents, feel free to sign up for our newsletter and we’ll deliver all of our latest content straight to your inbox! Enter your email address below to get our latest and greatest tips delivered straight to your inbox. windowstechies.com is dedicated to making Microsoft Windows easier for you. We share tips, videos, reviews, and downloads all designed to improve your Windows experience.